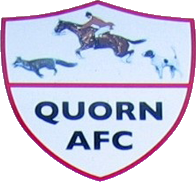 Quorn were founded in 1924 as Quorn Methodists, initially joining the Leicestershire Senior League in 1937. After World War 2, the club were moved into Division 2, winning this division in 1950 before winning Division 1 the following season. The club changed its name to its current one a year after this. Over the years, Quorn moved up and down the divisions of the Leicestershire Senior League before winning the Premier Division title in 2001 and earning promotion into the Midland Alliance League. In the 2006/07 season, the club finished 3rd in the league, earning promotion to the newly-created Northern Premier League Division 1 South. At this level, they recorded a highest finish of 12th, before being relegated at the end of the 2011/12 season. After relegation, they spent a season in the United Counties League Premier Division and finished 7th, before being transferred to the Midland Alliance, finishing 5th in their first season back in that league. Since the Alliance was renamed the Midland League, Quorn have twice finished 11th, most recently at the end of the 2016/17 season. In the FA Cup, Quorn's best run came in the 2006/07 season when they reached the 3rd Qualifying Round, beating Arnold Town, Malvern Town, Gresley Rovers and Belper Town before losing in a replay to Brackley Town. The 2006/07 season was also the club's best in the FA Vase, when they reached the 5th Round after beating Heather Athletic, Market Drayton Town, Boldmere St. Michaels, FC United of Manchester and Stratford Town before losing to Whitehawk. In the club's five seasons in the FA Trophy, their best run saw them reach the 3rd Qualifying Round in the 2009/10 season, beating Radcliffe Borough and Boston United (both after replays) before losing to Vauxhall Motors. This visit came about because I wanted to go somewhere a little further out for once, rather than sticking in the local area or Norfolk (an area I know well enough that, even though it's a bit further out than normal, I don't really count as going further out). Initially, my list of options included Atherstone Town (by far my preference), the now-defunct Greenwood Meadows and this as my third choice. Naturally, because this was the closest of the three, my mum chose to drive me here rather than either of those two. Almost immediately though, the day got off to an annoying start with Quorn charging more than advertised on their website (seriously, how hard is it for club's to keep admission prices up to date on their websites, or in some cases to put them up at all?) and there being no sign of any programmes anywhere; I did later see a couple of people with them, but I had no idea where I could get one, and the club didn't seem particularly interested in selling them either. Unfortunately, the match itself wasn't any better, as both teams seemed utterly devoid of any quality: the only notable moments were Quorn's goal on 20 minutes, a baffling miss by Loughborough's number 9 near the end of the first half, Loughborough's equaliser early in the second half and an excellent counter attack by Loughborough that, unfortunately for them, was ruled to be offside. The match experience was made even less enjoyable by a couple of immensely annoying Quorn fans, both of whom were constantly and needlessly swearing, bemoaning every decision that went against them (even clear-cut ones that not even the most biased of fans should be able to disagree with) and repeating the same rants over and over and over again: their favourite was one about how they were playing a striker signed from Leicester Nirvana on the wing, which they repeated at least 40 times, and probably many more than that. Overall, this was easily one of my least enjoyable matches and groundhopping experiences ever, but at least I've ticked Quorn off now so I never have to go back (and I'm going to actively avoid any matches in which they are involved, at least for the next few years anyway). Sutton Park is a pretty good ground for Step 5, and probably good enough for Step 4 as well. The main stand on the far side contains seating for 400 people, while the only other area of cover is a long, three-step terrace behind the near goal (this is where I was stood for most of the game), which could probably another 400-500 people in it if necessary. Other than this, the rest of the ground is open hard standing, but there is room to expand if the need ever arises (which it probably wouldn't do unless the club somehow reached Step 3). Overall, I would imagine that the ground has a capacity of around 2,000. Also, it is worth noting that the club have replaced the grass pitch at the ground with a 3G pitch since my visit.